The holiday season is upon us and many of us are beginning to think about packing and jetting off to a beautiful country with sun-kissed beaches, clear blue skies and crystal waters – not to mention the kind of temperatures that many of us can only dream! You’ve probably already got most of the essentials gathered together: sunglasses, sun lotion, summer clothes, passports, money and flip flops; but how clued up are you on what you need to do and the laws you need to follow when you reach your destination? For many Brits heading overseas, it is important to understand what can and cannot go in your hand luggage on a plane, and just as important to understand the various regulations when you arrive – especially in relation to smoking in public. Here in the UK it’s been against the law to smoke in public places for over a decade – including inside pubs and restaurants, with vaping proving to be something of a grey area. 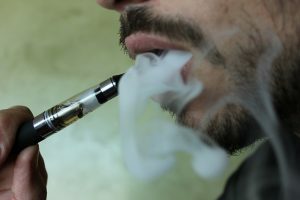 There are places here in Britain where you are permitted to vape in public, and there are other venues treating vaping very much the same as smoking traditional cigarettes. Vaping has already been banned on public transport and it is highly likely this will filter through to all public places over the coming years. Public transport extends as far as aeroplanes with many airlines demanding that e-cigarettes are taken apart and stored in your main luggage in the hold. 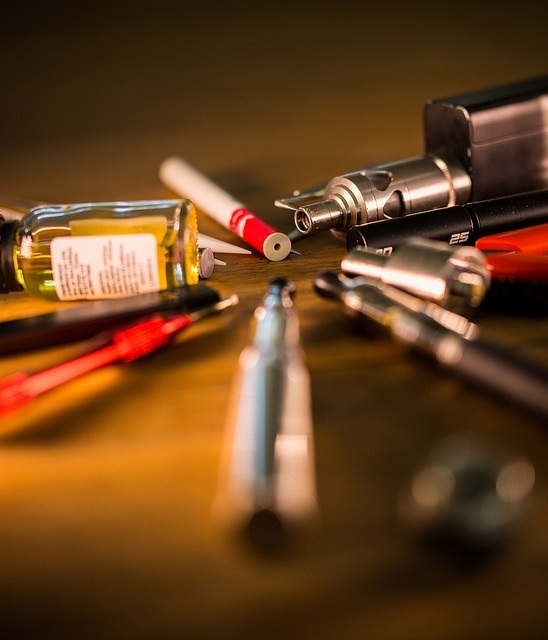 Recent regulation changes have prohibited vaping devices in checked-in luggage due to incidents where batteries and the devices they’re connected to have been stored incorrectly resulting in fires in the cabin. As such, we recommend only using regulated charging devices, like those on the Ecigwizard site. As such, the batteries and devices must be stored with your suitcases. Electronic devices that run off an external battery, including laptops tablets and mobile phones, are permitted in the cabin but e-cigs and their associated e-liquid and batteries must be packed and stored correctly. Find out more about battery safety in the Ecigwizard guide here. When you do reach your destination it’s important that you hit the ground running in terms of following the laws of the land. You cannot smoke inside an airport in the UK, and the same may be true when you arrive on holiday. Having spent months building up to this fantastic week or two-week period, the last thing you want is to be slapped with a huge fine for having one puff on your e-cig before leaving the terminal. Best practice is to read up as much as you can regarding the regulations around all forms of smoking in the country you’re travelling to, enabling you to fully understand what you can and cannot smoke, and where you can and cannot smoke. If the regulations say nothing about vaping specifically, it’s always best to consult the airline or with the travel agent you booked your break with – or to treat the laws relating to smoking as covering all forms, just to be on the safe side. You can find a list of smoking bans here. If you’re in a no-smoking hotel, don’t vape. If you’re on a beach where it says that smoking is permitted, then you can vape. There are a number of countries in the world where vaping in public, (by which we mean outdoors in general, away from public places), is completely permitted. There are others where the rules tend to vary because no legislation has been put in place yet. Finally, there are countries in the world where vaping is completely illegal and many of these are in Asia and South America. It is illegal to vape in countries including Argentina, Brazil, Egypt, Mexico, Qatar, Saudi Arabia, Turkey and the UAE for example. If you are caught vaping in any of these countries, it could end up with a fine of around $200 so don’t take the risk. This article was written by Oliver Warburton, Director of Ecigwizard – One of the largest UK based electronic cigarette companies.